The story is set in between the events of Resident Evil 6 and Resident Evil 7: Biohazard. BSAA Chris Redfield enlists the help of American government agent Leon S. Kennedy and Professor Rebecca Chambers to try to stop Glenn Arias, a death merchant who is on a mission of vengeance, from spreading a new deadly virus in New York City. 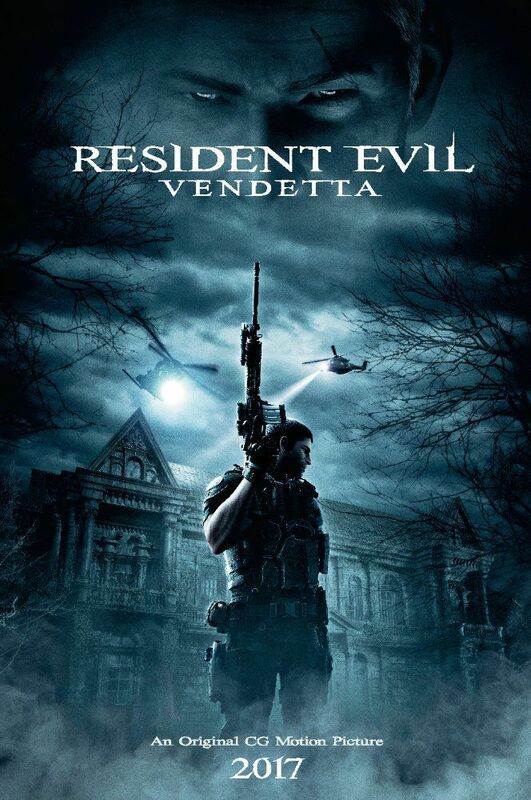 IGN posted up the first 10 minutes of the movie, featuring Chris' fellow agents infiltrating a mansion eerily similar to the ones seen in previous adventures, and the BSAA find a bedroom, where three of Chris' men become distracted by a toy buggy, then attacked by a creature holding its remote controller. Read more on Wikipedia.